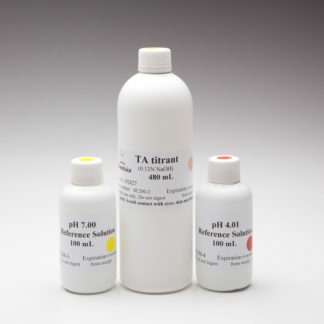 ﻿ SC-100 & SC-300 SO2 450 mL Reagent Kit – Vinmetrica – Sulfite (SO2), Malic, Alcohol & pH/TA tests for Wine, Beer & Kombucha. Bigger is better. 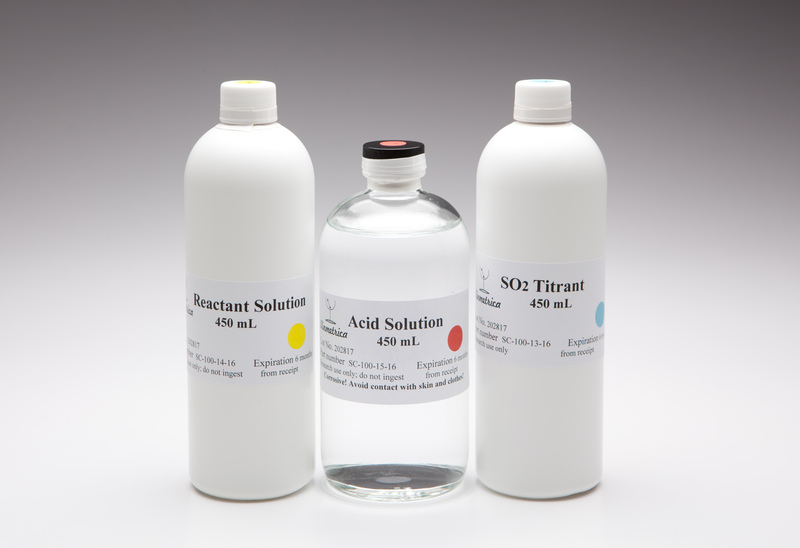 We now offer our SO2 reagent set in a 450 mL bottle size. 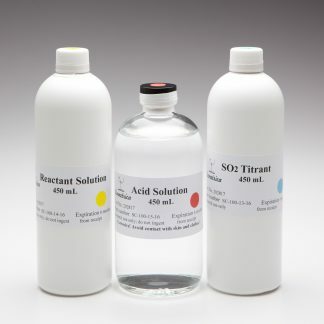 Each kit contains 450 mL of SO2 reagents: the SO2 Titrant, the Reactant and the Acid Solution. Approximately 225 SO2 Tests. The solutions are stable for at least two years if stored properly. Always store the solutions with their lids tightly sealed, out of direct sunlight and make sure to not cross contaminate them. Need to do Total SO2? 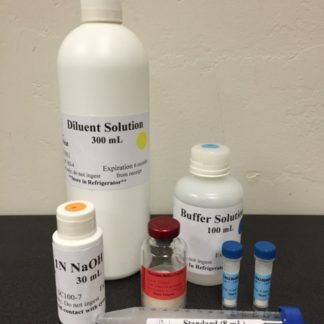 Purchase our 1N NaOH solution here. ALWAYS use caution when dispensing the acid solution. It is not terribly dangerous but always use laboratory protective eyewear, gloves and preferably long sleeves, pants and closed toed shoes. If you do happen to get it on you flush with large amounts of water. If the acid solution gets into the eye, walk over to a sink and flush water in your eye for 10-15 minutes, call 911 if there is any concern and consult a poison control agency, in the US call 1-800-222-1222. For poison control in other countries check out this website. Poison Centers. 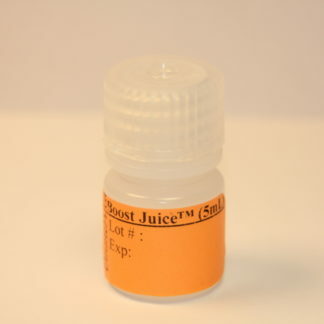 Note: The Acid solution must be shipped as 30 mL bottles to be shipped internationally. 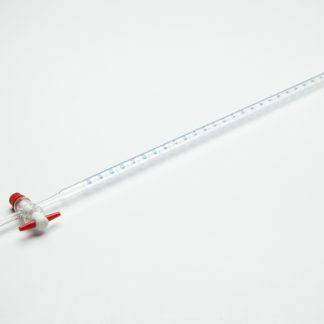 With the 450 mL kit, there will be sent five 30 mL concentrated acid bottles. This is because it is treated as a Hazardous Material. 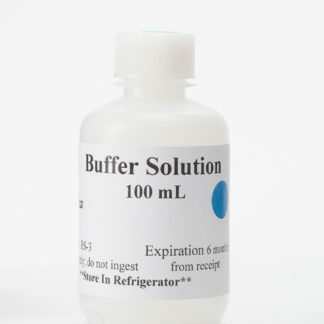 If you purchase this for international shipping, we will send you a more concentrated form of the acid, 6.5M HCl, instead of the standard 2M HCl. We then will provide instructions on how to dilute it. It is possible to ship to Canada but there are additional border customs charges. We have distributors in Europe and in Canada. Contact us and we will help you find a distributor that is closer to you.